"We Support the World's Prowler's!" We will buy your used parts. Chrysler factory original Plastic front grille fascia. 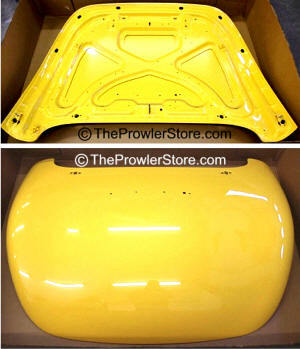 Comes in primer ready for paint or painted to your match your Prowler. Grilles normally do not come with come with mounting bracket. Ask about our other very good condition used body parts.. Factory original Door Glass replacement window. Choose which side you need. estimated - based on zip code. 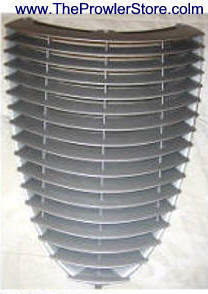 Chrysler factory original front grille fascia nose cone. New nose cone comes in primer (you can paint it any color) or painted . Ask about our other very good condition used body parts. NEW in fiberglass with stronger carbon fiber support. 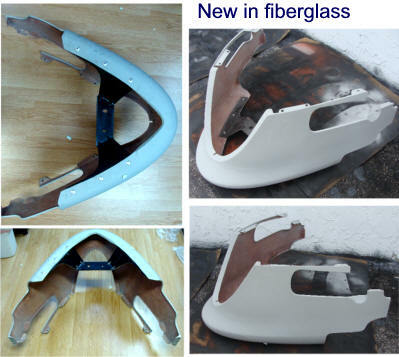 Shown new factory part in resin composite. 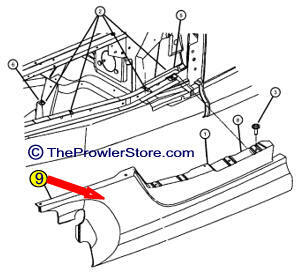 This is the factory stock part for your Prowler. It comes in primer ready to paint. Ask for price to paint it. Yes we can paint it also, just ask us the price. 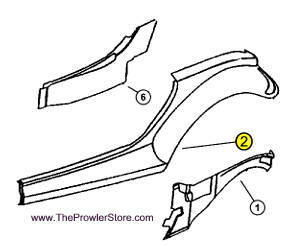 This is the factory stock part for your Prowler. Call for available colors. If we don't have your color we can send you any color and it can easily be painted or we can paint it. 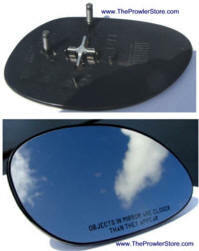 Replacement glass with mounting attachment included. Motor sold separately, see drop down menu. Motor fits either drivers or passenger side. 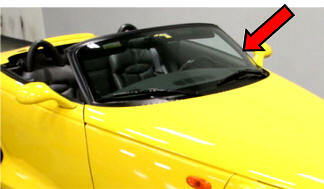 This is the factory stock quarter panel with sill for your Prowler. Chose drivers side or passenger side. Call for available colors. 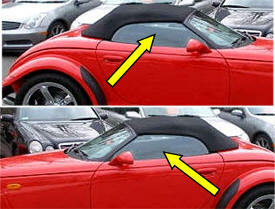 If we don't have your color we can send you any color and it can easily be painted or we can paint it. 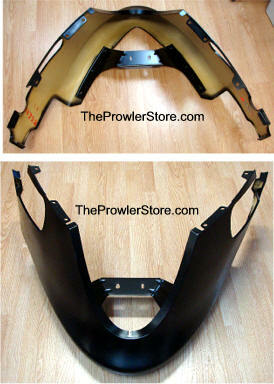 This is the factory stock Front Outer and side sill panel for your Prowler. Chose drivers side or passenger side. If we don't have your color we can send you any color and it can easily be painted or we can paint it. 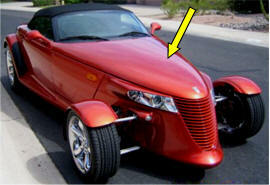 This is the factory stock rear panel or your Prowler. Call for available colors. If we don't have your color we can send you any color and it can easily be painted or we can paint it. 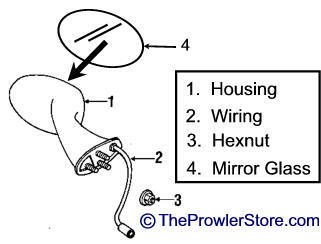 Number 1 in diagram. Does not come with handle or interior panel or any hardware. We often have a complete door in excellent condition with the panel panel, side mirror and complete hardware ready to hang. Call for price 352 688 8160 M-F. 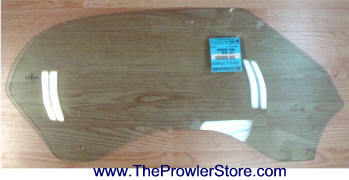 This is the factory stock Engine Side Panel for your Prowler. Chose drivers side or passenger side. Call for available colors. If we don't have your color we can send you any color and it can easily be painted or we can paint it.